The extruder motor features a system that is used in many sectors, and that completely meets the requirements of the manufacturer. Thanks to its high energy efficiency, easy installation with its compact design, ability to supply extremely precise speed and torque, convenient use in hot areas since it does not have heating problem, and constant torque from 0 (standstill) to nominal speed, the extruder motor increases the production capacity of the manufacturer and provides high output. In addition, the extruder motor provides quick response for different speeds and a seamless extrusion process thanks to its low moment of inertia and speed, and it offers high dynamism and excellent controllability thanks to the high number of its poles (up to 110 poles). This environment-friendly product operates with the same efficiency and performance in many different sectors. 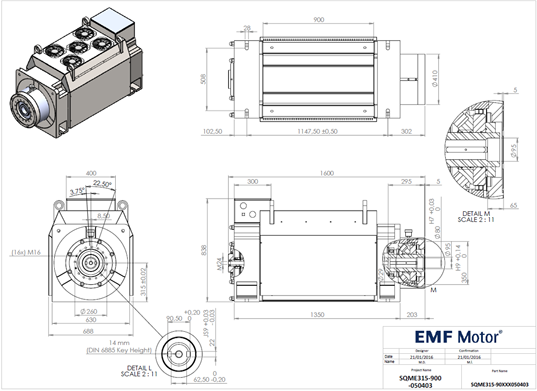 The EMF-brand extruder motor, which a plastics-manufacturing company in Saudi Arabia began to use, completely met the expectations of the customer in terms of its technical characteristics. The extruder motor is a 150 rpm, 5912 Nm, 220 Amperes, 340 Volts motor running without a gearbox. The motor eliminated the manufacturing flaws stemming from the gearbox by 100%, and increased the production quality and efficiency 1,5 times. 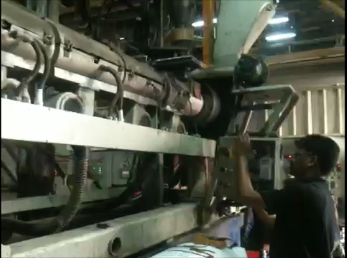 Since the biannual maintenance process carried out on the previous system with gearbox caused the loss of 2 to 3 working days in production, the company that preferred our product replaced the motors running at 50 rpm with Extruder torque motor running at 150 rpm. Thus, both the production speed and the waste of time was eliminated and efficiency and 21% energy saving was achieved. In addition, with the elimination of the gearbox, the maintenance costs were reduced to zero. The noise generated by the operation of the gearbox was also eliminated, and a quieter performance was achieved. Although the average temperature in the country is around 60 degrees, the Extruder motor continues to operate with high performance.